Place your items on the doorstep by 9:00am. In 2019 Great Lakes Field Service Council, BSA is partnering with Services To Enhance Potential (S.T.E.P.) 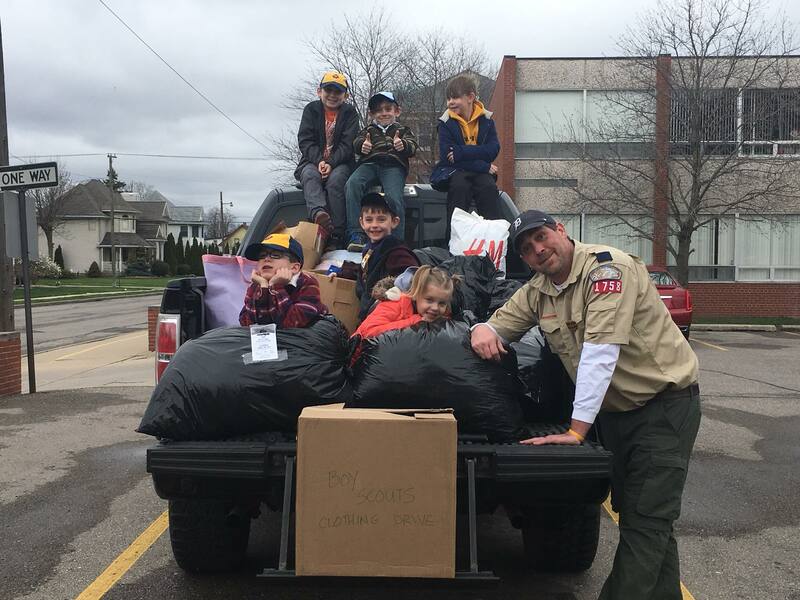 for our annual Scouting For Clothing Drive. STEP is a local non-profit serving the area for 45 years. STEP Thrift Stores and Donation Centers provide work opportunities to individuals with barriers to employment. The donations collected impact over 100 individuals a year at STEP’s 3 store locations. Their workers take pride in providing great service to customers and donors all while learning the many skills needed to work in a retail environment. All donations are tax deductible. 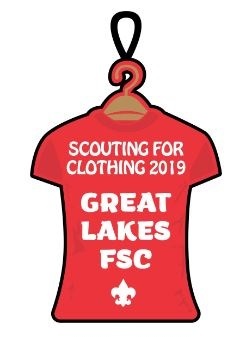 Let us know your Pack, Troop, Crew, Ship, or Post are planning to participate by registering today at https://scoutingevent.com/272-26445. Clothes collected can be dropped off at any of our collection points. 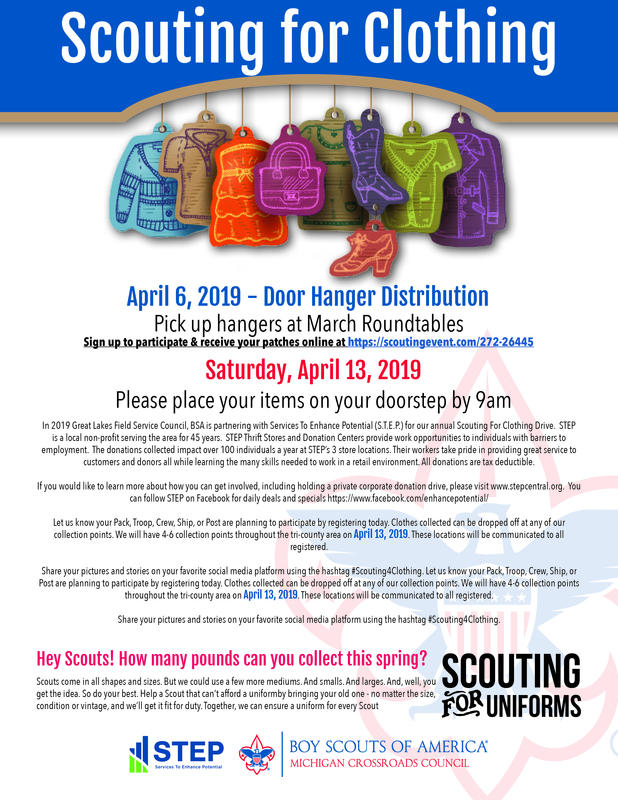 We will have 4-6 collection points throughout the tri-county area on April 13, 2019. These locations will be communicated to all registered. Share your pictures and stories on your favorite social media platform using the hashtag #Scouting4Clothing. Let us know your Pack, Troop, Crew, Ship, or Post are planning to participate by registering today. Clothes collected can be dropped off at any of our collection points. We will have 4-6 collection points throughout the tri-county area on April 13, 2019. These locations will be communicated to all registered. Share your pictures and stories on your favorite social media platform using the hashtag #Scouting4Clothing.